Police Sgt. Todd Moran cites and releases alleged shoplifters at a downtown supermarket. Since federal timber payments have ceased in Josephine County and other parts of Southwest Oregon, the tax-base has shrunk. 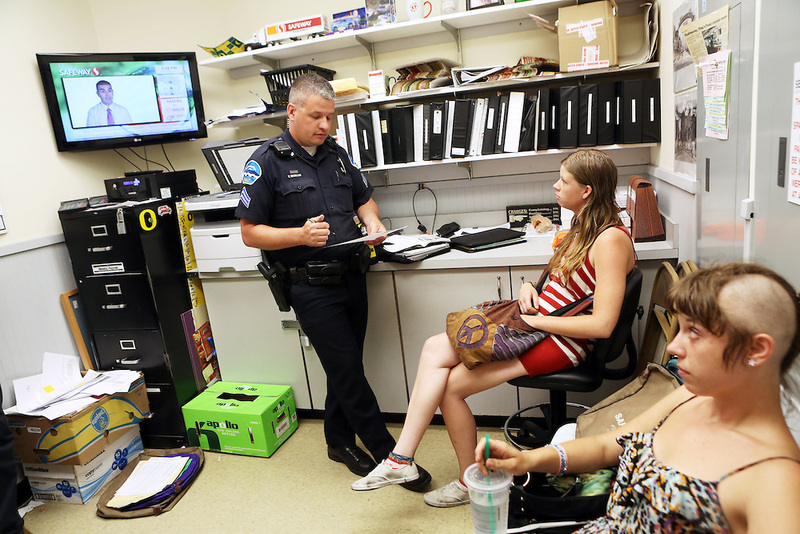 In Grants Pass, the county seat, shoplifting and other property crime are up, and law enforcement personnel numbers are down.